Hello and welcome to our latest issue. Have you ever thought about writing a letter to yourself to describe your ideal future life, long-term life goals and the process of how to plan for them? 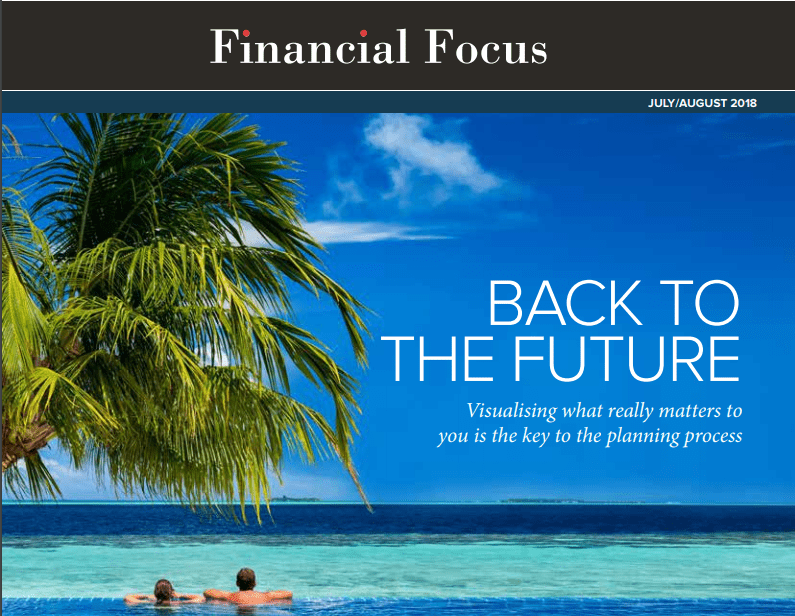 On page 04, we look at how imagining what you want your life to be like in the long term when you retire can help you think much further ahead than you might ever have done before. If you have accumulated a number of Individual Savings Accounts (ISAs) over the years, keeping them all in one place could give you better control and help you save money. There’s a common misconception that you can’t move existing ISAs from one provider to another. Turn to page 03 to find out more. At some point, you’ll say ‘goodbye’ to your co-workers, get into your car and drive towards the next phase of your life – retirement. But when will that be? On page 06, we consider your move to retirement – it’s one of the most important decisions you’ll ever make, so it’s not surprising that determining the date is harder than you may expect. We hope you enjoy reading this edition, and if you would like to discuss or review any areas of your financial plans, please contact us. We very much look forward to hearing from you.